14-year-old Leonid Hmelev was found dead after jumping off more than 100 feet from the highest point of an apartment in Chaikovsky, Russia. 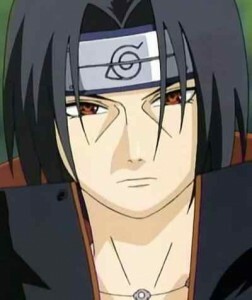 The cause of his depression and ultimately his untimely death is seeing Naruto character, Itachi Uchiha (うちは イタチ), die in the anime. The Daily Mail, a British news media, has reported this unfortunate event last Friday. After Itachi’s death, a highly devastated Hmelev left a message on a social networking website saying he was “planning an ending”. He then departed his home and was missing. Worried, his parents recruited the help of neighbors and together they searched for the boy. Two days after Hmelev was reported missing, his lifeless body was found on October 31, 2012. Hmelev’s father, 38-year-old Ivan Hmelev, identified the body as his missing son. Sadly, Russia ranks third in the world with the highest case of teenage suicide next to Belarus and Kazakhstan. In a 100,000 teenagers, 22 are suicide victims. While stories like these may bring anime in a bad light, it is highly recommended that fans take their enthusiasm for their favorite anime to a moderate and tolerable level. For concerned parents, they should do more than just chide their children for watching too much television; they should do something about it that gives their children positive intervention to avoid disastrous endings.